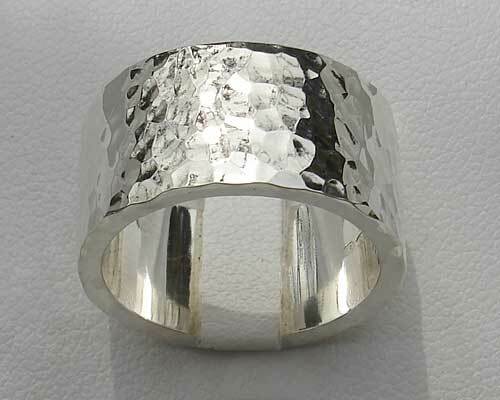 Flat Profile Hammered Silver Wedding Ring : LOVE2HAVE in the UK! This UK made silver wedding ring is another of our classic flat profiled sterling silver wedding rings with a hammered finish. The ring comes with a highly polished finish which pronounces the hammered texture giving it a definition as it shines in the light. Each pitted section reflects the light as you can see in the pictures. The ring is available in widths of 6mm, 8mm or 10mm, so there is a ring here to suit everyone dependent upon the width you feel comfortable wearing. 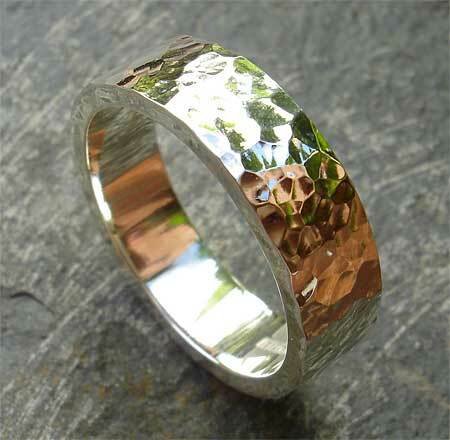 If you are looking for a ring for matching with various outfits, day or night then this is the ring for you. Pictured is the 7mm and 10mm width versions.